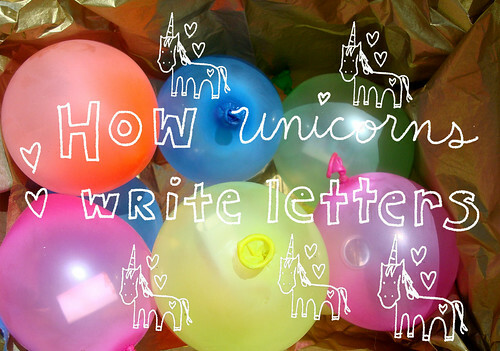 Have you ever wondered how a unicorn writes a letter? to everyday advice like how to make rainbow jell-o cups or what time of day I'm most likely to see a shooting star with a rainbow trail. So, me and Sprinkle were having a nice gossip sesh over frosting shots one day, and after maybe one shot too many, she told me the secret way in which unicorns write letters. 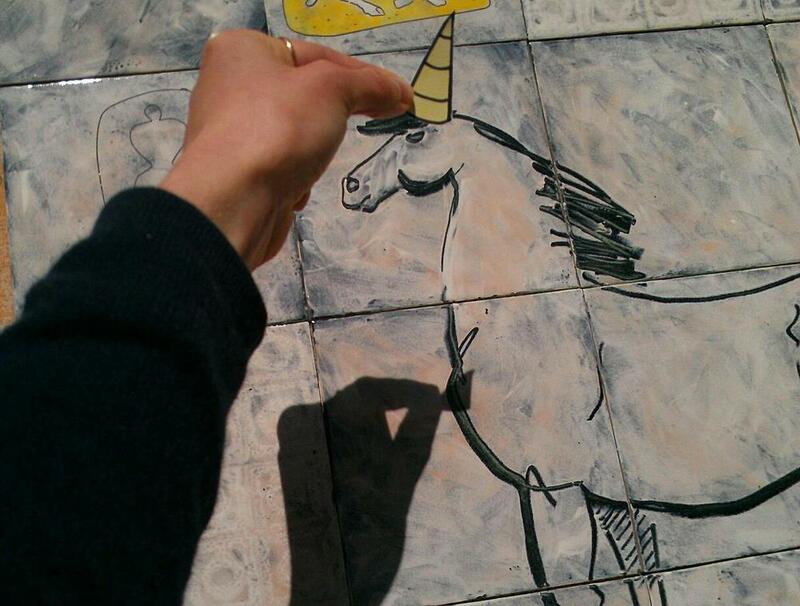 Because unicorns do not have hands, they do something really special to send their buddies messages. They whisper messages into rainbow rays, and then they wish them over to their friends, who are not only greeted with a rainbow but good tidings. Listen, I'm not going to lie: humans do not have the magic ability to do this. 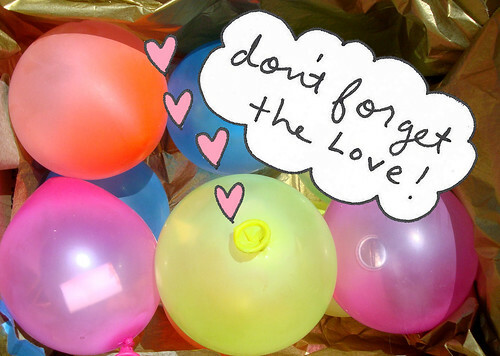 But we can co-opt the idea and send a friend a bouquet of rainbows and sweetness by stuffing balloons with little notes and gifts. It basically guarantees a magical day for the recipient. 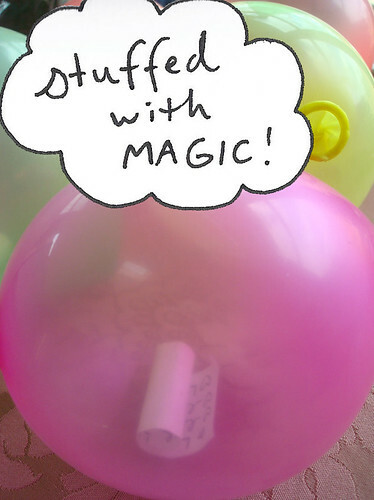 Here's how you, as a human without magical abilities, can make it happen. You can also grab some other things, like candy or marbles or small things that will make nice little gifts. 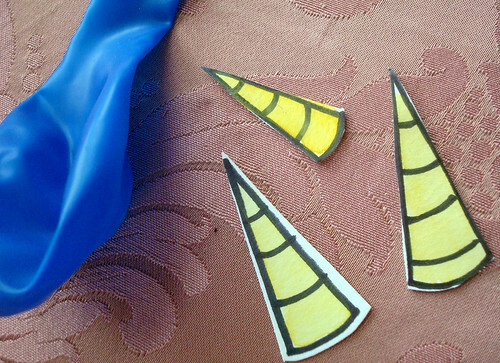 Step 2: Place the notes or gifties in the balloons. 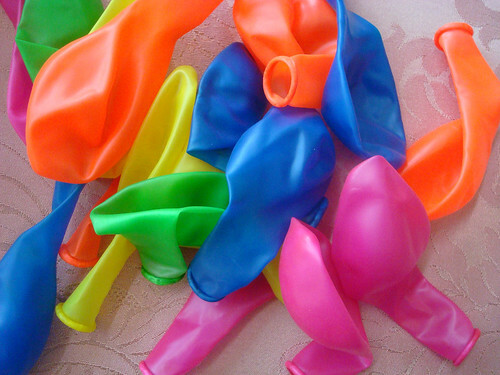 One or two things per balloon. 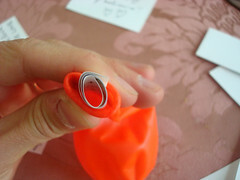 Roll up notes to get them inside of the balloons with ease. 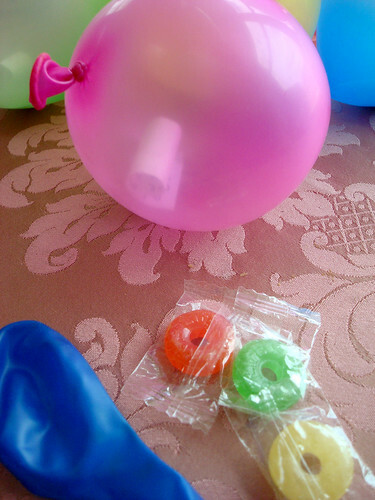 Step 3: Blow up the balloons. Blow them kind of small, about the size of a large apple or so. 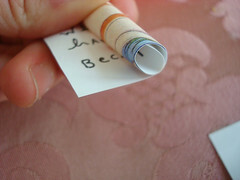 Step 4: Once you have a number assembled, place them in a box lined with tissue paper. Line the sides and top with packing material before sealing and addressing the box. Step 5: Send it on its way! Unlike unicorns, you can't wish your package to its recipient, so you'll have to hit up the USPS or UPS or Fedex. For best results, use a fairly rapid shipping method (such as priority mailing). Be happy in knowing that you will have a very delighted recipient when it's received! 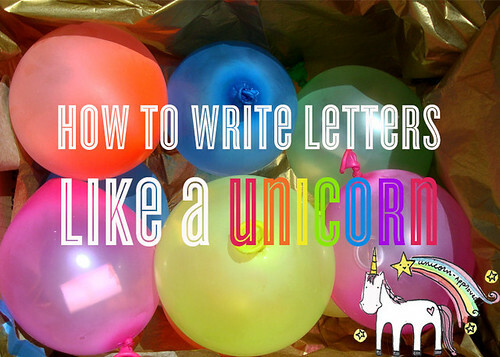 Although this is definitely an adapted version of the unicorn method, it's a highly delightful method of making someone's day brighter. And any unicorn would deem that magical. 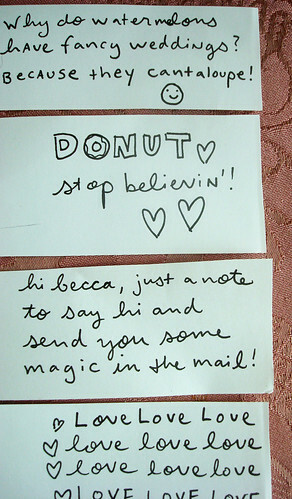 Who in your life deserves a magical letter?